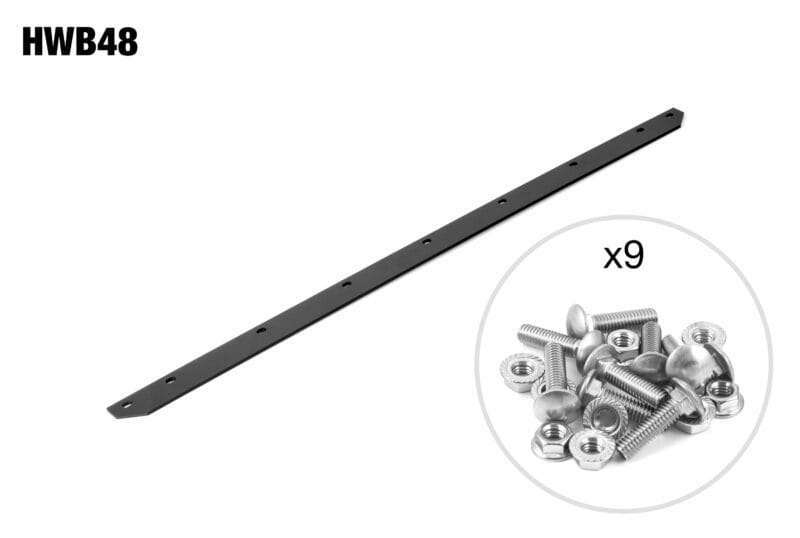 This heavy duty cutting edge replaces the standard mild steel wear bar / cutter edge used on John Deere snow plow blades. Made of 1/4” x 2” AR/400 carbon steel, it has superior wear resistance and is built to last. We’ve made it specifically with extra steel in order to stabilize the plow by reducing bounce. This is the toughest cutting edge available for a John Deere snow plow blade. 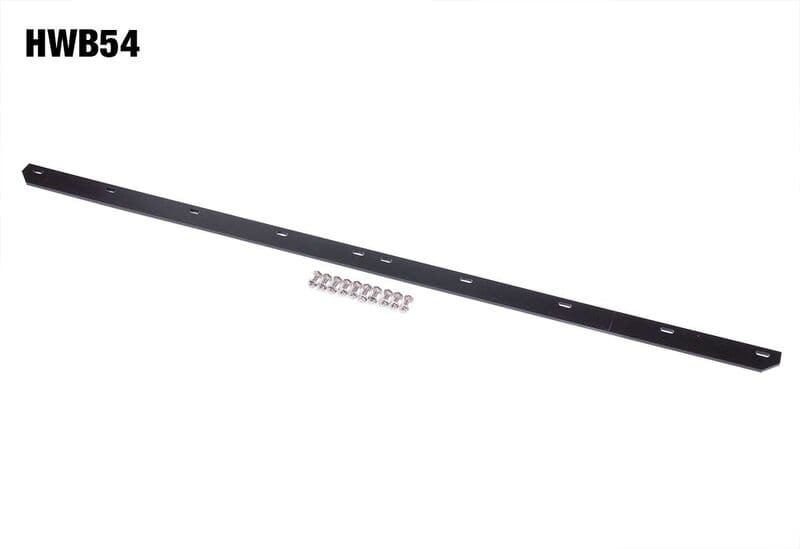 Replaces John Deere factory part #M120139 for 48″ and #M75674 for 54″ blades. 72″ model is for 54″ blades with 9″ John Deere extensions. Thicker cutting edge to help reduce bounce and prolong cutting edge life. 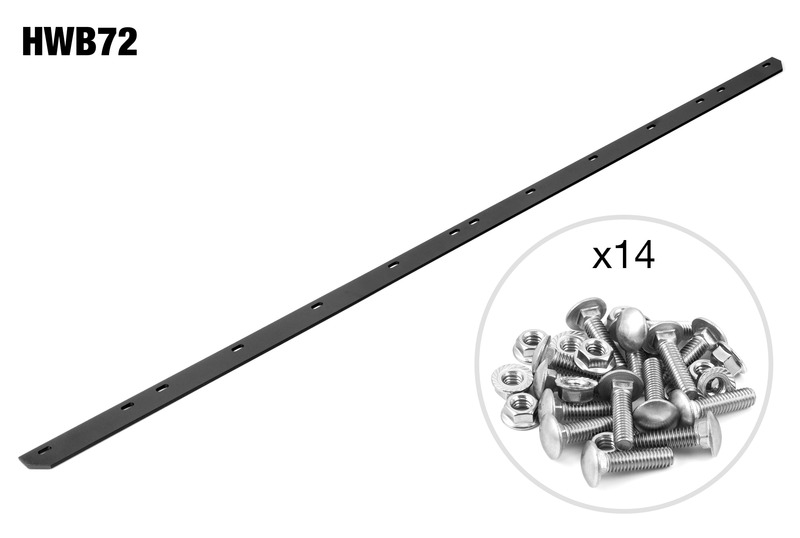 Includes stainless steel fasteners for easy installation on your compact tractor. Laser cut holes for a perfect fit. Will last four to six times longer than factory wear bar on your compact or sub-compact tractor. AR400 is a specialty steel designed at the chemical level for improved wear resistance for specific applications. The steel is relatively expensive to produce, costing much more than simple mild steels such as A36 or 1018. However, the steel’s special properties make it the only choice for applications such as blades in bulldozers. Because of the unique strengths of AR400, it is used in heavy machinery and steel plate applications. The wear bar is exactly what I wanted. Fit perfectly. Much better than the original bar. Good service, good price.